Maybe you’re just starting out with your business – or maybe you’ve had a long-standing restaurant or bar for quite some time. Either way, your goal is likely the same: to create an inviting and enjoyable atmosphere for every customer that comes in. Below, we go into the ways commercial audio video technology can transform your Norfolk, VA place and make the perfect environment guests will want to return to again and again! Keep reading for more. If your place is the spot to be for the big game, you want a clear and crisp screen to give an excellent view for everyone. Small, grainy TVs won’t cut it in a jam-packed bar with eager sports fans! Besides – for everyone to get a good view, you need to mount the TVs up high, so a tiny screen simply won’t do. You’ll need the best of the best: 4K Ultra HD resolution TV screens. These TVs have four times the resolution of standard ones, so even from far away, anyone will have the best seat in the house. And as they’ve hit mainstream adoption, they are becoming much more affordable too. Patrons of your business might have varying interests and want to watch different things. 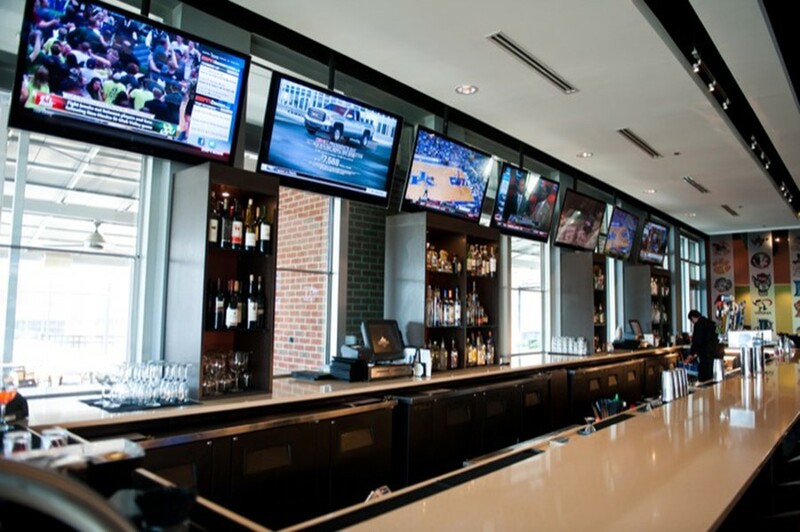 With several channels playing on the numerous screens throughout your restaurant, it could all get pricey if each TV has an individual receiver box. However, an AV distribution system means all your TVs will connect to one single receiver. This lowers the costs, and also creates a decluttered, clean look with less wiring and devices! Everyone knows that a bar or busy restaurant can get crazy loud – but throw in multiple TVs of various stations going off at once? It can be chaotic. By creating separate audio zones, you can centralize audio from a TV to a specific area. This way, someone enjoying a game of golf can hear their channel just as well as someone rooting for a high-intensity basketball game. When someone wants an employee to change the channel or to adjust the volume, it’s crucial that the system is easy to operate. By connecting every component and device to a commercial automation system, you can control every automation in your business from one centralized source. Turn off all the TVs, change the channel on only one, or even lower motorized shades and dim the lights – just by using a remote or tablet. Your system can be as expansive as you’d like, and it’ll still be simple to manage. Now your restaurant or bar can thrive without adding a stressful aspect to its functioning. Commercial audio video has endless benefits for your business. Want to learn more about these smart technologies?